This article is a short summary of Kirby: Nightmare in Dream Land. 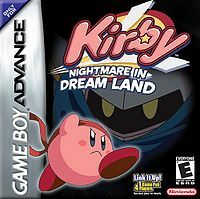 Kirby: Nightmare in Dream Land is a game in the Kirby series. This page was last edited on 29 January 2015, at 05:18.